Brought to the UK by the same team behind Lexmoto Motorcycles & Scooters, the UM Motorcycles 125cc range has been released alongside the Lexmoto range and is available to purchase from one of the many UM dealers nationwide. 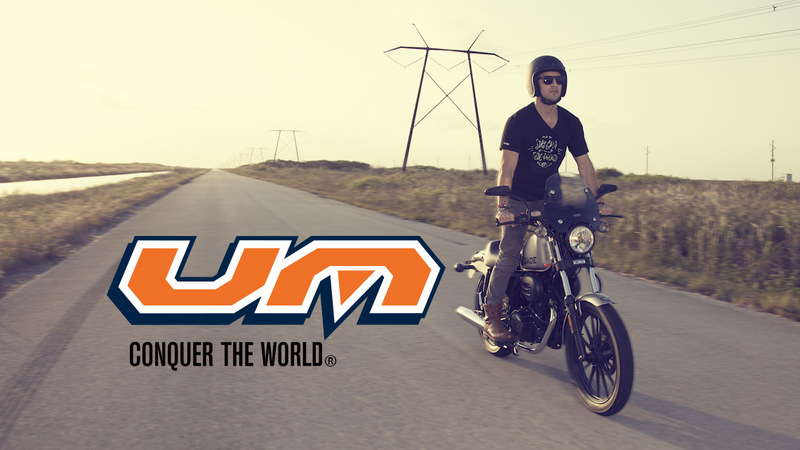 With designs inspired by the American open road, there is a bike suitable for every occasion, be it a Cruiser, Scrambler or Sports bike, UM has you covered. The UM range aims to push the boundaries of innovation by providing exhilarating design at affordable prices and offering reliable service as standard. So if you're looking for a liquid-cooled 125cc motorcycle with increased performance that wouldn't look out of place on Route 66 or cruising the Americana Highways, then make sure to check out the UM website for the full range of bikes available and to find your nearest UM Dealer.